The National Directorate of Water (DNA) through the Regional Administration of Water South (ARA-Sul) has awarded a contract for the rehabilitation of the damaged bottom outlets and related works on the 48 metre high Massingir dam in the Gaza Province of Mozambique. Aurecon has been appointed to supervise the construction of these rehabilitation works. Following the raising of the full supply level of the dam by the installation of six large spillway crest gates, a sudden failure of the outlet conduits in May 2008 resulted in an uncontrolled discharge of approximately 1 000 cubic metres per second to the downstream area, threatening the safety of the Massingir dam. 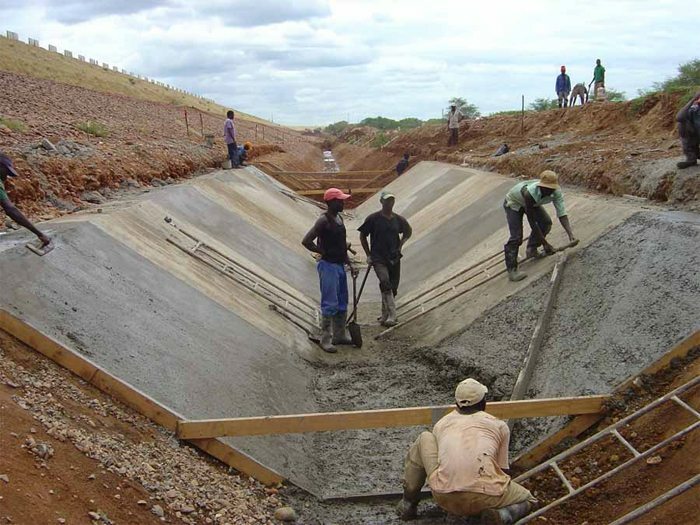 Funded by the African Development Bank, the project will enhance the safety of the dam and render it fully operational again, increasing its capacity to supply downstream irrigation demands and thus enhancing the local economy. Aurecon was previously appointed to investigate the cause of failure of the bottom outlet works, design the rehabilitation of the bottom outlet works, compile tender documentation and provide technical services for the client. “In designing the rehabilitation works we drew on our previous experience in delivering cost efficient and constructible major dam infrastructure projects in Africa for many clients,” Aurecon’s Dams Leader Peter Blersch said. “Our local engineers, who have experience working with ARA-Sul and who are familiar with the local environment, will be supervising the construction and they will be supported by specialists in South Africa,” Peter said. The rehabilitation works comprise the installation of 6.4 metre diameter steel liners into the existing reinforced concrete outlet conduits, installation of hydro-power offtakes, mass and heavily reinforced infill concreting and grouting, and rehabilitation of the two downstream radial control gates, including entirely new hydraulic and electrical equipment. Other work on the rehabilitation of Massingir dam includes the construction of large diameter pressure relief wells, installation of supplementary dam safety instrumentation and crest lighting on the 4.5 kilometre long earth fill embankment. The supervision contract also includes a new water supply and distribution system for the town of Massingir involving 24 kilometres of various diameter pipelines, construction of a 150 seat conference centre, new roads, repair of existing roads, rehabilitation of existing buildings and other building works.